Vývojová doska Arduino PRO MICRO Leonardo s čipom ATmega32U4 3.3V/8MHz. Keyestudio PRO MICRO development board is compatible with all Arduino skills, including four analog inputs, five PWM pins, twelve digital inputs/outputs and hardware serial port Rx and Tx. Its operating voltage is 3.3V and working frequency is 8MHz, which can accept external supply voltage up to DC 16V. The anode of power supply board must be connected to the „RAW“ . We also added a PTC fuse and diode to protect power supply circuit. 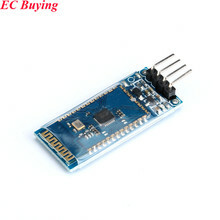 In choosing test program, Arduino IDE version must be advanced or equal than the 1.0.3 version.